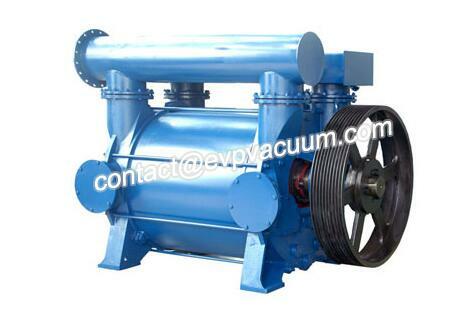 Liquid ring vacuum compressors for sale- Vacuum Pump - EVP Vacuum Solution! My factory specialized production 2BE and the vacuum unit, 2BE series has 2BE3- 40, 2BE3- 42, 2BE3- 50, 2BE3- 52, 2BE3- 60,2BE3- 70 series vacuum pump, the product quality is reliable, durable, the performance is superior reliable. 2BE water ring vacuum pumps and compressors are usually used for pumping non-solid particles, insoluble in water, non-corrosive gases, in order to form a vacuum and pressure in a closed container. 2BE series water ring vacuum pumps and compressors are developed by our factory on the basis of many years of scientific research achievements and production experience, combined with international advanced technology of similar products. It is usually used for suction of non-solid particles, insoluble in water, non-corrosive gas, in order to form a vacuum and pressure in an airtight container. By changing the structural material, it can also be used for pumping corrosive gas or working liquid with corrosive liquid. Widely used in papermaking, chemical, petrochemical, light industry, pharmaceutical, food, metallurgy, building materials, stone tools, coal washing, mineral processing, fertilizer and other industries. This series of pumps adopt the structure form of single stage and single action, which has the advantages of simple structure, convenient maintenance, reliable operation, high efficiency and energy saving, and can adapt to the bad working conditions such as large displacement and load shock fluctuation. We optimized the system design for key parts, such as distribution plate, impeller and pump shaft, simplified the structure, improved the performance, and realized energy saving. Wheel enough all processing, fundamentally solve the problem of dynamic balance. Impeller and pump shaft with hot – loaded interference fit, reliable performance, smooth operation. After the impeller is welded, the overall operation is good heat treatment, the blade has a good toughness, so that the blade impact resistance, bending resistance to the fundamental guarantee, can adapt to the impact of load fluctuations in bad conditions. The 2BE series pump has its own gas-water separator, and there is no exhaust port in multiple positions. The pump cover is provided with the inspection window of the exhaust valve, and the clearance between the impeller and the distribution plate is adjusted through the gland at both ends of the positioning shaft. It is convenient to install and use, easy to operate and convenient to maintain. Our company vacuum pump in the factory before all the testing center, strict inspection and testing, reliable and durable performance.